Omega Nutrition is recognised worldwide as the premium manufacturer of Flax Oil, essential fatty acid blends and other great nutritional and culinary products. In 1987, recognising the critical need for essential fatty acids (EFAs) in the modern diet, Omega Nutrition became the first company to introduce Flax Oil to the North American market. What drives Omega Nutrition is a commitment to innovation. We developed our proprietary omegaflo® process to protect the delicate essential fatty acids in our premium Flax Oil from the damaging effects of excessive heat, oxygen and light. The omegaflo® process represents a revolutionary advance for the edible oil industry. We carefully prepare oil in small batches to retain natural flavour, premium quality and vital nutrients. 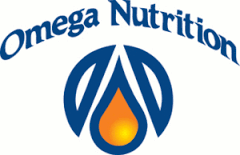 Omega Nutrition continues to be acknowledged as the forerunner in EFA nutrition.